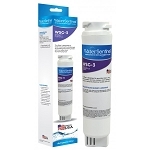 Shop our GE Refrigerator Water Filter selection to find the right filter for your fridge. 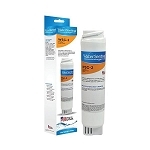 Water Filters FAST carries a wide selection of quality GE refrigerator filter items. Our customer service staff would be glad to assist you in finding the GE refrigerator filters that are right for your home. If you’ve invested in a refrigerator with a water dispenser, simple maintenance can keep it running at maximum quality for you and your family. 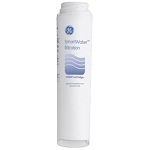 We carry affordable, genuine GE refrigerator water filters to keep harmful pollutants and chemicals out of your water. Check your refrigerator’s specifications to make sure you’re purchasing the right brand and type of filter. We also recommend double-checking to see how often your filter needs to be replaced. While many filters last for six months, others have a lifespan that is determined on a gallon usage basis. 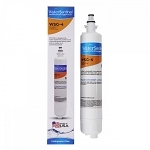 Replacing refrigerator filters in a timely manner is the key to avoid strange tastes or smells in your water. A filter that goes an extreme amount of time without replacement can even breed bacteria! It’s also wise to check your water quality and replace a filter as needed if your refrigerator dispenser goes several months without being used, such as during a long vacation. If your water begins to taste or smell different from usual, check to see if your filter is due for replacement, even if the change seems minor. Since refrigerator water filters can remove pharmaceuticals and chemicals present in municipal water sources, members of your family can experience unexplained symptoms if your water filtering system starts to fail. 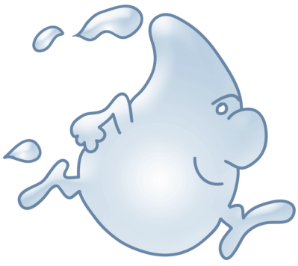 A sore throat, asthma, nausea, and other nose, throat, and mouth symptoms can all be caused by chemical sensitivities. Since municipal water can contain a range of chemicals like fluoride and chlorine, water filters are a critical first line of defense for families with chemical sensitivities or other medical issues. Our selection of GE, Water Sentinel, and refrigerator filters will get your water dispenser running properly again, so you and your family can get back to enjoying the taste of pure and refreshing water. If you have any questions, please contact us so we can help you select the right product as soon as possible.